Carl and I have shared barge trips with friends before, but each trip brings new discovery. 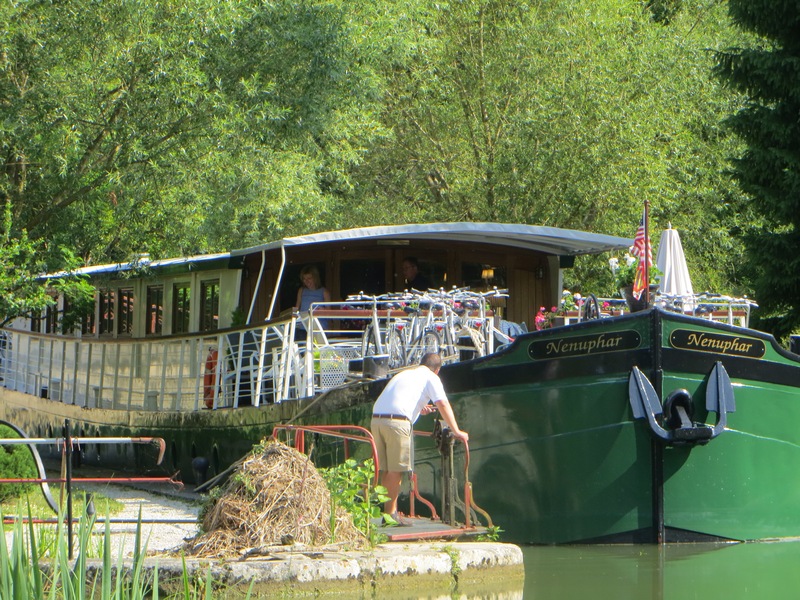 We gathered 10 friends months in advance to share a week long trip on the FRENCH COUNTRY WATERWAYS barge Nenuphar. We have cruised with other companies before, but nothing comes close to the experience offered by this company. A little about our boat: We had 6 large king size bedded rooms ensuite. The barge is very spacious with a nice outside deck where you will find your 12 lovely bikes stored, ready for your morning ride. The 6 crew members ar always ready to make sure your every wish is taken care of. Our amazing chef, Kim, prepared 3 wonderful meals using all the fresh ingredients purchased each day in the local villages. We were met at a wonderful hotel in Paris, Hotel Regina, 2, place des Pyrqmides, across from the Louvre. The barge company offered us a special rate so it made the pick up very easy. On Sunday early afternoon we were greeted by our guide and driver for the week, Charlie, with a large bus ready for the trip to our barge moored in the village of TANLAY. We settled in, had a welcome dinner and got the details of our week ahead. 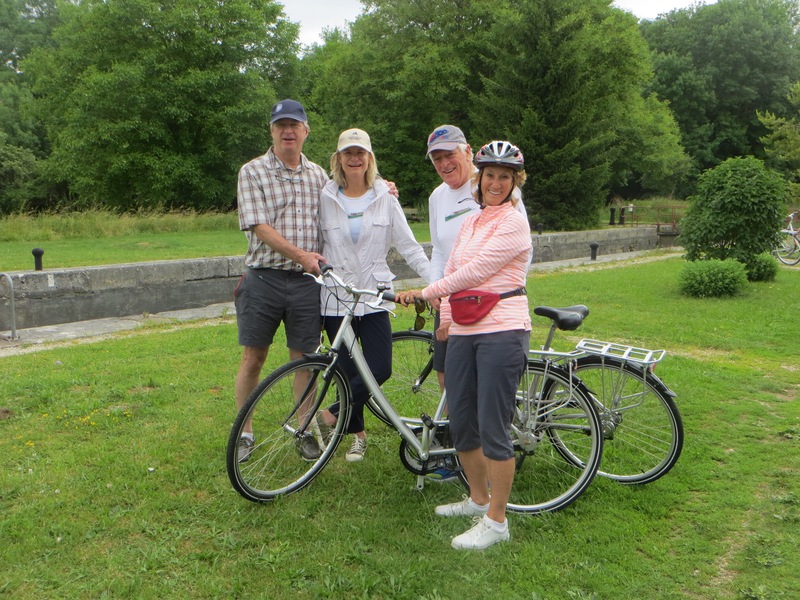 We were cruising the Canal de Bourgogne, while the boat heads to the first in a series of 36 locks we got on our helmets and headed out along the path on our bikes. After lunch while the barge makes its way through the locks Charlie takes us to visit a great winery and we have our first introduction to Chablis wine. The wine maker explains the difference between Grand Cru and Premier Cru Chablis, offering tastings of both. Later over dinner we will share our first of many bottles of French Chablis and other regional wines. While we were learning about the wine and how the vineyards differ the barge was on its journey to the village of LEZINNES where we would moor for the evening. 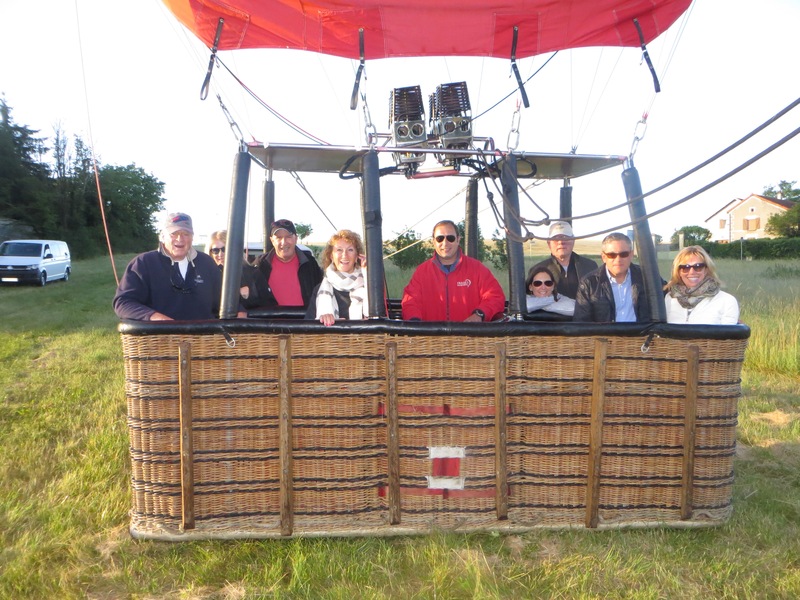 The next morning some of us were up early for a hot air balloon ride across the fields while the sun was rising. The lovely quiet ride ended after about and hour we had a smooth landing, after a champagne toast we were back at the barge in time for breakfast. Charlie was ready to take us to the village of Ancy-le Franc, we had time to wander this old village and learn about its history and visit the church that is the center of every town. Of course we were back at the barge in time for another great lunch and a bike ride to the medieval capital of lower Burgundy, AUXERRE. It was now our third day on the barge and we are settled into the leisurely pace of canal living. Some of us walk from one of the lock houses to the next waiting for the barge to pick us up others take off on their morning bike ride to explore small villages along the way. 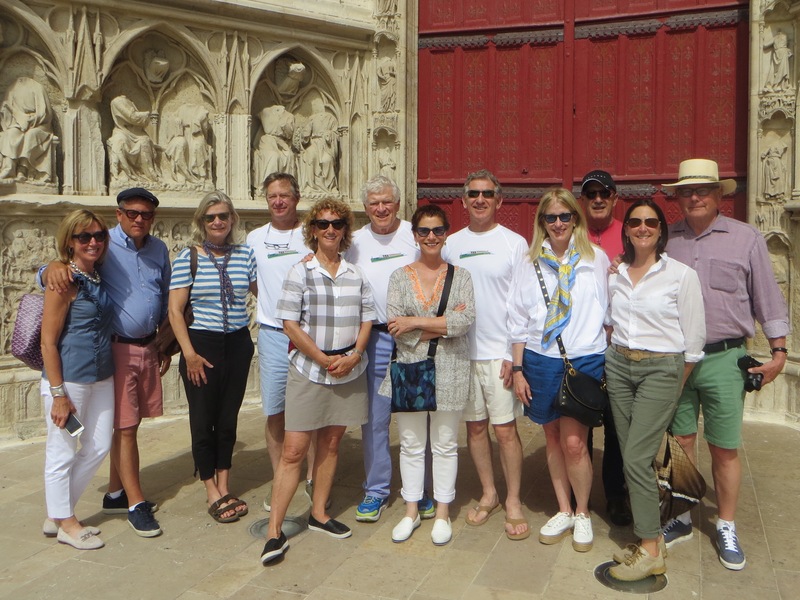 Then before lunch Charlie takes us on a walking tour to explore the village of NOYERS looking in the shops for our next treasure or sharing a cup of coffee in a local shop. Later in the afternoon some of us go to CHATEAU OF ANCY-Le-FRANC, an amazing chateau owned by an American who is in the process of rebuilding the many gardens and restoring the chateau. The boat will spend the night in the village of RAVIERES. The next morning we went to visit an 18th century forge, FORGES de BUFFON. This area was a large producer of steel during the 18 hundreds because of the location next to 2 rivers and the canal there was water for power and easy access to shipping to Paris and other parts of France. The barge continued through the locks docking at MONTBARD for the evening. 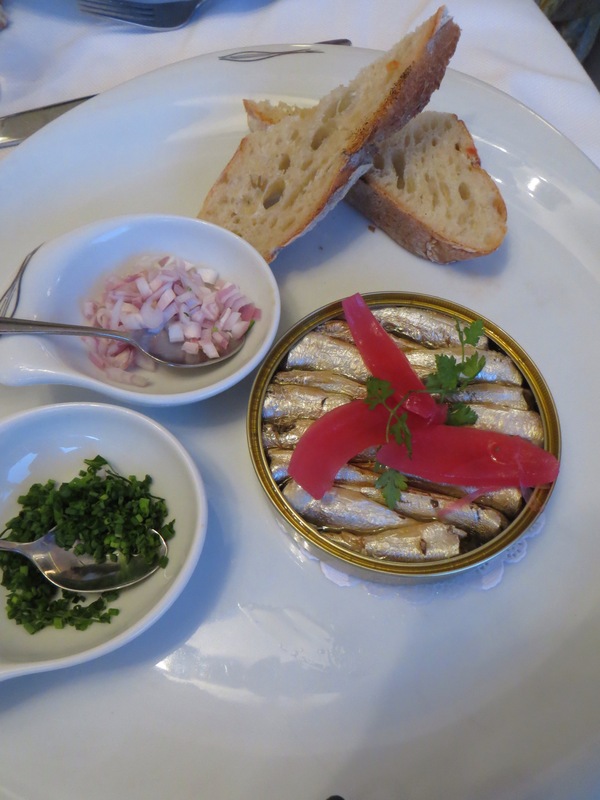 We had the opportunity to enjoy dinner at the famous 2 star restaurant, LE RELAIS BERNARD LOISEAU in Saulieu. This lovely hotel and restaurant was about 45 minutes from MONTBARD, but Charlie was a great driver and after 4 hours of eating and drinking good wine we arrived back safe at the barge. 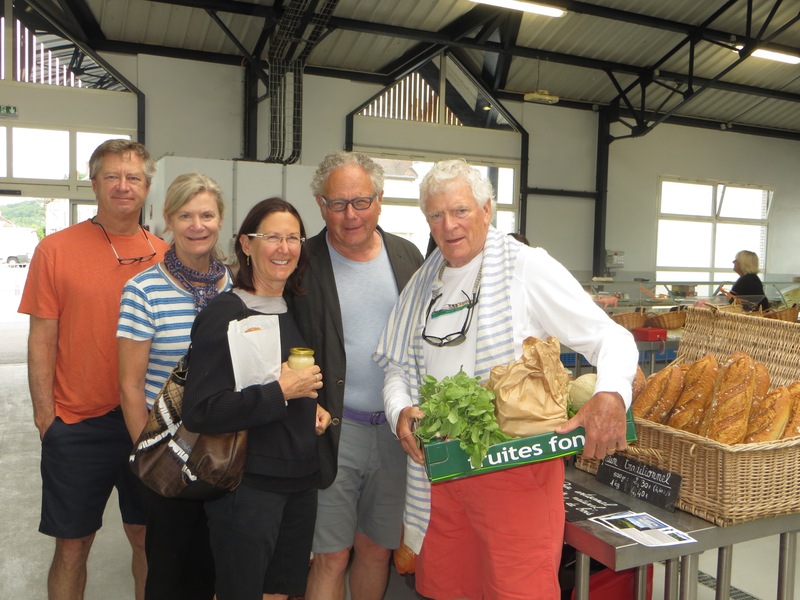 Friday morning we were up early to go to the farmers market in Montbard to buy a few special things we wanted to have chef Kim prepare. We bought the sweet Tuscan melons that we never have in Seattle and huge white asparagus which Kim did a great job serving for lunch. We got on our bikes to make up for all the local pastry, cheeses and wines we had been eating, time to count steps. We met the barge several locks later and cruised to VANAREY-Les-LAUMES. After our amazing lunch and the required afternoon cheese course Charlie took us to visit ABBAYE de FONTENAY. That evening was a lovely captains dinner since we would all be going our separate ways in the morning. 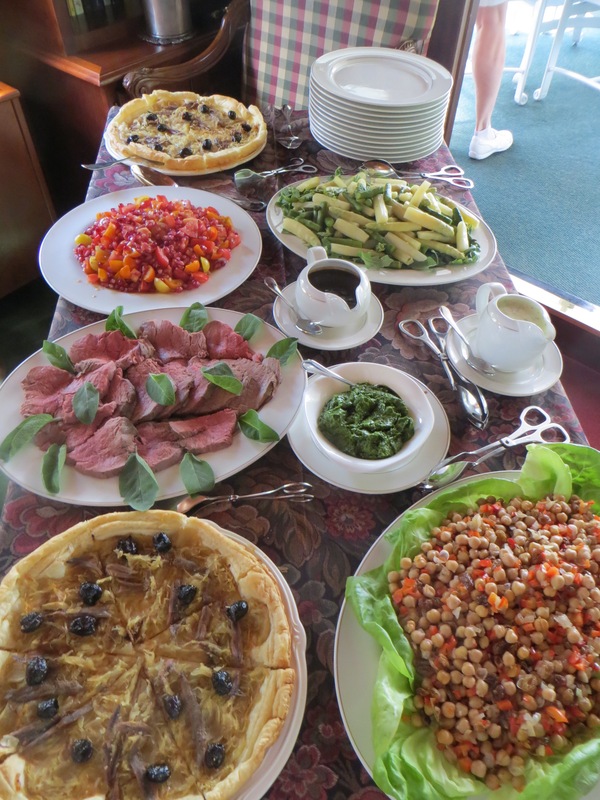 The story would not be complete with out mentioning that each day after lunch we were served 3 different cheeses and the same following our amazing 3 course dinner with simple green salad. The introduction to all these cheeses was a wonderful education, some that we knew and other that we had never tried, but look forward to finding at a local cheese shop later. I have to add a couple of my favorite cheeses were Fleur de Marquis, Brillat Savarin and a lovely Bleu de Causse, but with 36 cheeses served in a week it was hard to remember the wonderful flavors of each. We can not say enough good about a week spent in slow motion cruising along the French Country side. 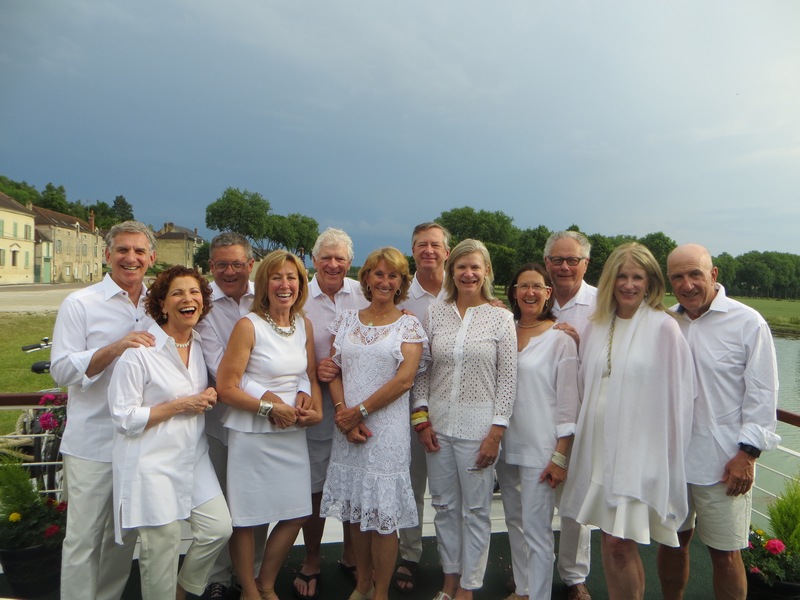 French Country Waterway has several beautiful barges to choose from, whether you want to gather several couple or just join others go to their web site or call Effie at 1-800-222-1236 and they will send you a brochure. Thank you to the great staff and all our friends for sharing a very special week. I grew up in Portland, Oregon and spent many week-ends at the beaches of Oregon. It had been years since I had been back to visit the many memories of years past. After my sister passed away we promised to spread her ashes at the beach and organized a family trip. 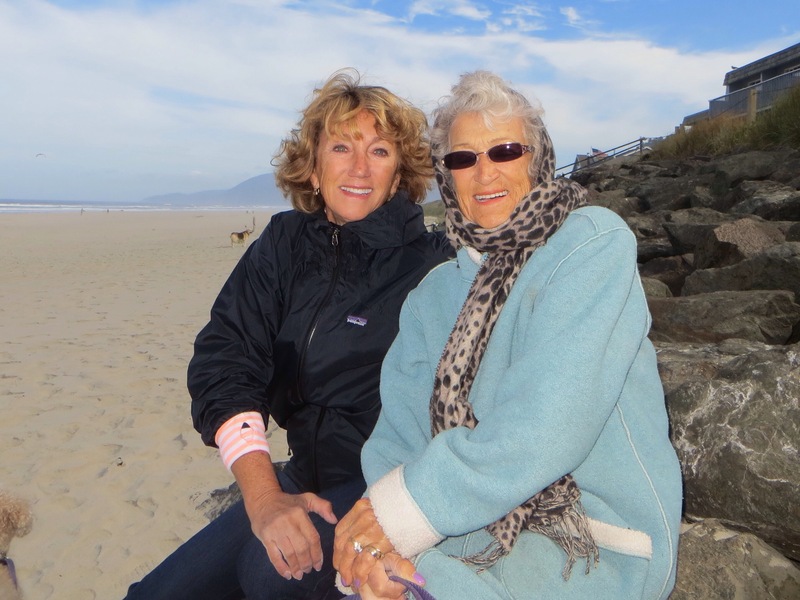 My mother is 89 and always loved Rockaway Beach, about 90 miles from Portland. 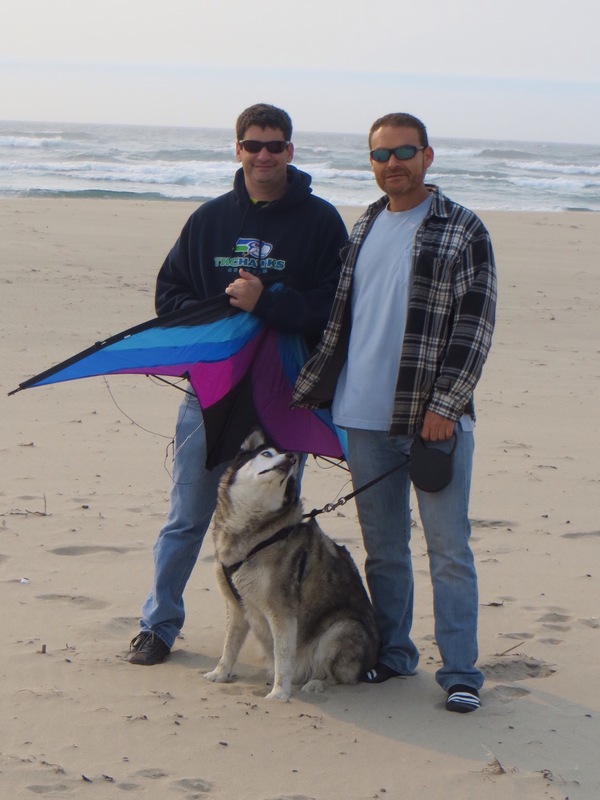 After much planning 11 of us drove to Tillamook and then headed up the coast to Rockaway. The small beach town is located on a very long stretch of ocean front offering many hotel and rental properties. We chose to stay at The Surfside Resort about a mile north of downtown. They have 5 buildings, two of the buildings face the beach the others are set back. The resort offers pet friendly rooms with a small extra charge. We had suite rooms with two king beds, small kitchen, sitting room and several of our rooms had 2 baths. They have an indoor pool and easy access to the beach. The choice of places to eat is slim, but one of the best meals was at The Beach Bite. They had some of the best clam chowder I have eaten. The salads were fresh and I had fish and chips that were well prepared. Earlier in the day we had eaten at their other restaurant called Dos Rocas Bar, good Mexican food with plenty of chips and salsa. Breakfast at The Cow Belle Cafe was a good place to start your day. The 3 egg omlete was enough to share, especially when the side of ham was as large as the plate. There are plenty of little shops to entertain the kids but nothing was better then when we bought big kites and headed back to the beach. This is a perfect place to share hours on the beach building sand castles and flying kites like in those years past. Does anyone need a reason to go to St. Tropez? We were invited to attend the wedding of a friends sons in the village of Gassin. Gassin is a few miles from St. Tropez, perched on a hill top over looking the sea. We drove from Nice about 2 hours and checked into a beautiful hotel called Villa Belrose, above St. Tropez. We arrived on Thursday afternoon and the wedding was not until Saturday, giving us time to spend in and around the area. There were several other friends from the Seattle area all joining in the festivities. After checking into the hotel and taking time to stand and look out over the amazing view, grab a light lunch at the pool and a little nap in the sun it was time to venture out with friends for the evening. We drove up to the village of Gassin where the wedding would take place in a couple of days. The village of Gassin consists of several simple outdoor restaurants, some beautiful homes perched on the hill side and the simple church that has been here for over 100 years. We joined our friends for dinner at “Le Micorcoulier” where our hostes suggested a great bottle of Munity rose wine to start. Munity was first know for their Rose but now they are producing a white wine they call golden and a red wine all grown just down the hill from Gassin. Dinner was in true French fashion, several courses one being a large grilled fish served for two people, large enough for 4. Dinner lasted 4 hours finished with several desserts, including a sorbet with lemon Chello poured over the top. The next morning after coffee on the terrace we headed into St. Tropez to shop and wander the docks looking at all the huge boats docked with their crew standing guard. We bought great linen shirts for the men and hats for the girls. The girls had a lunch on the beach at a private club called The Pearl. While the boys played Bolle in the city park and drank beer we drank rose on the beach and enjoyed the cool breeze across the sand. is packed with great restaurants that come alive in the evening. We chose a place dock side called “Le Guielier”, a very lively place serving amazing seafood and whole fish to share, prepared on the grill or baked in a salt crust. Around 11:30 the discos begin to come to life and the people watching can’t be missed. Saturday we got up early to have time at the huge market, everything from paella, fresh fruits, jewelry at every level and clothes for everyone in the family at every price point. Before attending the wedding that afternoon we returned to Gassin for a light shared lunch in the village, we stopped next to th church at a little place called “Bella Visto” simple menu, but fresh items and plenty of shaved fresh black truffles. The wedding was in the local traditions of France followed by a reception that lasted into the morning hours. We went back to the hotel before the younger guests hit the pool around 3 am. Loved every minute of the week-end and hated to leave on Sunday morning, back for a flight to Paris. We spent the night at the airport Sheraton in Paris so we could catch the morning direct flight to Seattle. Of course we took the train into Paris for dinner at “Chez Julien”‘. we were seated outside so we could watch all the people going past. The weather in Paris has been very warm and this restaurant offers many tables outside for dinner. The white asparagus salad was a perfect way to end a great trip to France! We do most of our skiing in Sun Valley, but once a year we try and explore a new area with our ski group. This year we ventured to France with Chamonix being our home base. We flew into Geneva and had a transfer to Chamonix. The hotel we chose was Le Morgane, http://www.morgane-hotel-chamonix. Le Morgane is a boutique hotel one block off the main shopping and pedestrian street. The hotel offered great service, no matter what you needed the staff was there to drive you to a restaurant, make reservations and guide you to ski shops for rentals. The spa offered excellent massages and other services. They have a small pool, hot tub and steam room, since the hot tub was not working they offered the use of their sister hotel facilities. The rooms are small so I suggest a junior suite for the comfort of space. The difference in price was worth the extra room. Upon our arrival and once we got organized we went to a great ski shop to rent our skies. “Concept-pro shop” is just a couple blocks away and they offered a broad selection of skies to choose from to match your personal level of skiing. Back at the hotel we met our guides for the week. The entire experience on the mountain is controlled by the quality of your guide. Our guide was one of the very best we have ever had, Octavio Defazio was amazing with every detail, ocatvio.defazio@gmail.com. Octavio brought another guide, Carrado, to be with us since we were 9 people. They were both experienced ski and rock climbing guides that have been in these mountains for years. It was Valentine’s Day so we booked a great restaurant for the evening. Maison Carrier is housed in what appears to be an old farm house with big open fires roasting all types of meats. We shared great dinners for our first night in France and walked back to the hotel. The next morning after a nice breakfast in the hotel we prepared to ski an area about half an hour drive to the other side of the mountains, through an 8 mile tunnel to Courmayeur, Italy. We hired a car and driver to take all of us to Courmayeur; Raf Dhoomun, rafdhoomun@yahoo.fr. Raf had a nice clean van and was there for us for the week as we traveled from one area to the next. The area in Courmayeur is vast and it had been snowing so we had great powder skiing in and out of the trees when we chose to go off piste or stay on the groomed runs. Our guides made arrangements for us to have a great lunch at a small restaurant on the mountain, Chiecco, http://www.chiecco,com, with the owner Anna attending to our table. She brought us large wooden trays with local cheeses and dried meats to start. One of the special things about skiing in Europe is the opportunity to share great lunches mid day on food that you would never see in an American ski resort. After a full day on the mountain we headed back to the hotel. Just a heads up the toll for our van was 44 Euro each way to travel through the tunnel. Dinner that night was at a new restaurant called “La Telecabine”, a short walk from the hotel. They had beautiful fondue and of course as we found out every restaurant serves their version of steak tartar and fries. One interesting ingredient found in their version was the addition of ketchup and as the week went by we found that this is common recipe addition. The next morning we returned to Courmayeur, there was no new snow but the runs were groomed and the mountain is so vast that there was still plenty of tree and powder skiing. Our morning was capped off when we arrived at Petit Mont Blanc Restaurant with the smell of roasting pig in the air. They served roast sucking pigs with crisp skin that has been salted to perfection. Matched with a lot of cold beer and a couple of bottles of wine. Than back on our skies for another 2 hours. After a nap, nice massage we were ready for another dinner at Albert 1er a Michelin star restaurant at the Hameau Albert Hotel, a Relais Chateaux property. Day 3 we stayed closer to home and skied Grands Montets in the sunshine, the run from the top was about 3200m down. The lunch on the deck in the sun was called Argentero, nice pasta and beautiful salads of fresh shaved veggies. We skied until 3:30 and then had the long well groomed run down to the parking lot. We went easy for dinner with simple pizza at Café Valerio where the chef had won an award for the best pizza in Italy. The part of the restaurant in which we were seated was next door to the original, so the server had to run back and forth between the two places which slowed down the service. Day 4 was an hour 20 minute drive to Verbier, a vast ski area located in Switzerland. We skied the 4 valleys In the morning we skied off piste from Gentiane’s pass toward Tortin. The sun was shining so you could see all the development in the valley below. We worked our way through the forest to the deck of a restaurant called Chez Danny for lunch. The sun was so bright they offered us straw hats to keep the sun off. The road twists and turns it way back to Chamonix with our trusty driver Raf in charge. We stayed in the hotel and dined in their 1 Michelin star restaurant called ‘Bistrot”. I had one of the best risotto dishes with shaved black truffles on top. Everyone had different dishes with a huge rib eye steak and black peppercorn sauce being shared by all. Deserts were worth the wait and then to top it off they presented a huge cheese cart. Glad we just had to go upstairs to hit the bed. 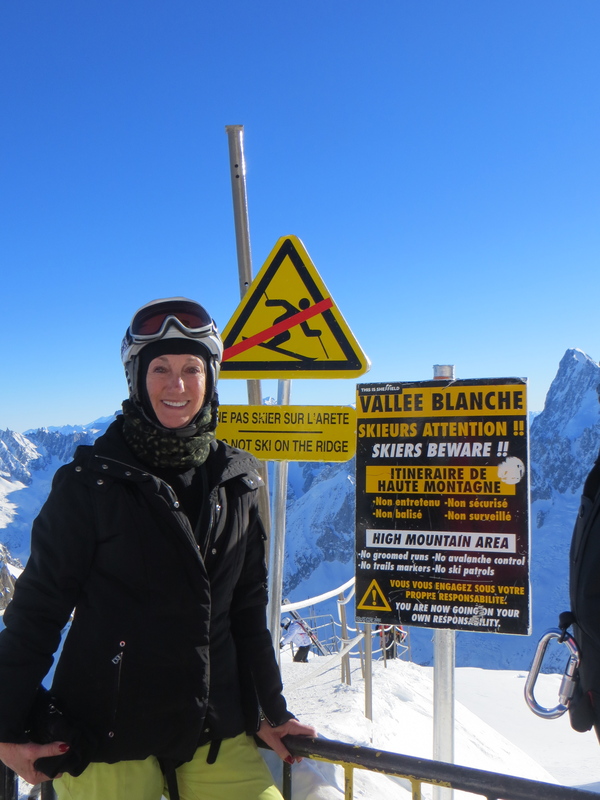 Day 5 was what we had all been reading about, the famous Vallee Blanche descent. We boarded the tram up the mountain at 8:30 not sure what was on the other side. Our guides carried our skies down to the starting point while we waited and watched all the other people load their skies onto packs, rope up and start the climb down. When Octavio returned and we roped up in 2 groups of 4 he explained that we would all wind our way down a very steep narrow trail holding a guide rope. Where we put on our skies and started down an 18Km descent off piste over glaciers. 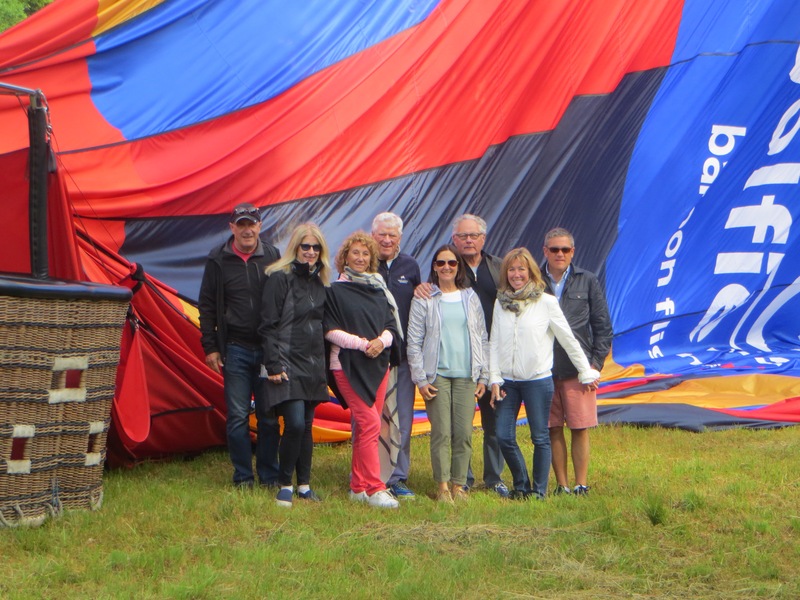 It is an out of this world experience, but not sure one we would do again. It was very mix terrain, a little powder, packed bumps through narrow canyons and wide open trails. We stopped half way down at a spot called “Requin Hut” on a rock out crop where they bring in the supplies by helicopter each day. After our bowl of soup and bread and cheese we continued down as far as possible to a steep staircase, 400 steps to be exact, where we climbed out to catch the Train de Montenvers back to the town of Chamonix. After a much needed nap we gathered for a fun dinner at a huge restaurant called ” Cap Horn” caphorn-Chamonix.com. The tables had large candle holders with lovely white cloths and low lighting. The food had a real Japanese flair, the piece of sole I ordered was prepared to perfection. Day 6 our group was getting smaller, 4 of the gang departed, so we stayed in France and skied Brevent/Flegere, this part of the mountain faces Mont Blanc. It was a warm sunny day and the snow was getting thin so we skied on groomed runs and had an easy lunch on the mountain at la Bergerie at the top of the tram. That evening we just went to a small local pizza/pasta place called Napoli. One of the best pizzas we had. They only had about 30 seats on the main floor so be sure to make reservations but it is very good.